Marketers are trying to collect a lot of data, in a move towards big data. But Google and users are fighting against it : keyword not provided, cookie not accepted, location turned off, notification turned off. On the other hand, we are leaving more data trails than we have ever done before. Even garbage cans are scanning our mobile phones to get the MAC address from your phone to understand how many times you came by (they’ve stopped that now due to protest). Next thing is you’ll get an iBeacon alert trying to sell you something because they know you’ll pass by on monday at 8u30. Think about this for a second how addicted we are to our mobile devices and how addicted we are to using cool technology like Google. In many ways you could say Google knows us better than our wives or our husbands because all the stuff we put in there lasts seven years. Google is in a way walking a very thin line. On the one hand they claim to protect our privacy (keyword not provided), but on the other hand Google is reinventing the bowser cookie into an über cookie: AdID. The stuff you browse on your laptop and the stuff you browse on your smartphone could all be lumped into one big profile on you. Advertisers will be able to tap into this information, because that’s where the money comes from for Google. Some even speculate that Google will connect your online behavior with your real profile. Everything you do can and will be tracked because it’s possible. Marketers are trying to track everything in one big move to big data. With that they want to build a “hyper targeting graph”. 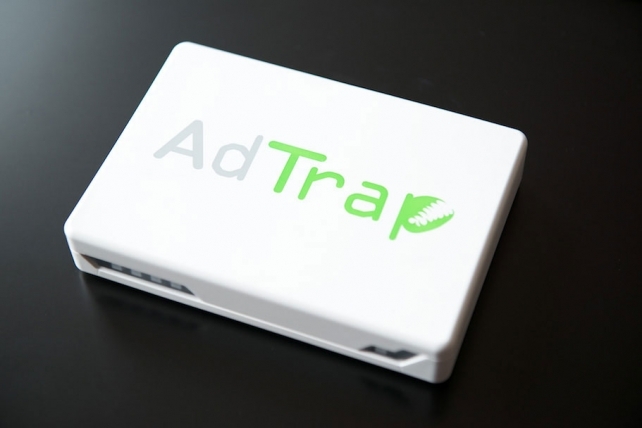 We buy systems like AdTrap to remove advertisements from our video stuff. Do you want to build better mousetraps? Is that your job as a brands or advertisers? I don’t think it is. What’s happening here is that in a way we can say abuse is not a sustainable business model. If only 10% of the people opt-out, your business is endangered. That’s not how you build sustainable brands. You cannot do business in a world where there’s no trust. And Google’s “don’t do evil” will fix its dichotomy. It will keep the balance between collecting information of users and selling that to advertisers, while at the same time keeping trust from end-users. Google will make sure their über AdID cookie will be in line with their “do no evil” moto. That’s why transparency, authenticity and honesty is key. That’s what it is going to be all about. Advertising without permission becomes extinct. Getting permissions is what needs to done. Building communities is what needs to be done. Giving end-users value is what needs to be done. We marketers should find better ways to listen to customers, think about how we can attract their attention with meaningful marketing, and deserve the right to send them information they actually want. P.S. Check out this video from futurist speaker Gerd Leonhard: Datawars and the future of Advertising: Futurist Speaker Gerd Leonhard at Guardian Ad Summit – YouTube http://bit.ly/199DLO1 . He certainly has been a big inspiration for this post. P.P.S. If you like this post, please share!